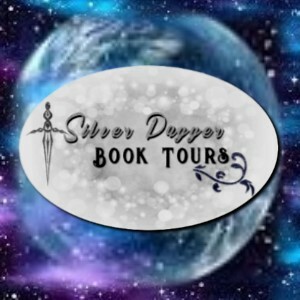 Book Tour with Excerpt, Guest Post and Giveaway! 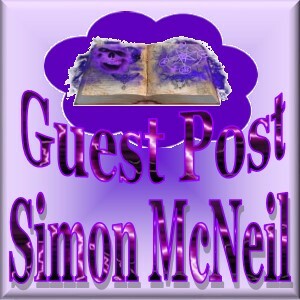 The Black Trillium by Simon McNeil! My bodyguard, the mute giant Brutus Cloven, fell in behind me as I left the chamber from where he’d been waiting in the anteroom. He was milk-pale, entirely hairless and his eyes were pink. The giant looked freakish but he was a comforting presence too. He’d been with my family as long as I could remember, stolid and silent, a worn marble statue of loyalty. Brutus never spoke a word but his pink eyes never missed a threat, and he’d saved my life on many occasions. Brutus saluted and left to follow my orders. He looked more nervous than usual, as if marching on Trana was somehow particularly unsettling to him. Or perhaps he simply didn’t like travel. There was one other person I needed to speak to before sending for Marc and planning the campaign. It gave me shivers just to think it. At long last I would be planning a campaign. I walked to her suite, one of the most lavish set of rooms in the entire iron palace. They had been mine once. Even a disgraced son of the king could expect good lodgings. I opened the door and she was there, brushing her long black hair. Her huge green eyes fixed on mine from her mirror, a real glass one, not bronze. That mirror alone cost as much as the arms and horses for a dozen knights, but it was just the least of the marvels in her room. And if I could I would have given her more. Ah yes, the manual, the book of sublime martial skill that she hunted. “If there were any swordsman with the skill you say the manual contains in Fredericton, we’d have found him by now,” I said. “Trana is the largest city in Confederation, there are fifty-thousand people there. Perhaps somebody will have heard tidings of the manual.” I knew how much the manual meant to her. It was seeking it that led her to Fredericton to begin with. All she knew is that it was somewhere in Confederation. Or at least that is all she would tell me. There were many things about her past that Sophie kept even from me. “I will be eternally grateful,” Sophie said and she turned, looking at me in the flesh rather than the glass of her mirror. So yes, they hijacked the story, but I couldn't have written it any other way. But there is a weakness in this, and that's one thing I would have changed if I had to do it over. When I was finished the book I wasn't entirely satisfied with Sophie's characterization. There's an interesting character there but the characters who served as my POV couldn't see her. Kyle was too fixed on the image of Sophie he had in his head and never bothered to really learn who she was within herself. Savannah only saw a monster to fight, and never tried to get to know her and Kieran had very little to do with her. I felt the absence of her internality was ultimately a flaw in the story, and I think, if I could ever do it over again, I'd make her a POV character in her own right. Simon McNeil is the author of The Black Trillium, a story of revolution and martial arts set in the ruins of Toronto. This novel is published by Brain Lag Publishing. He is an online marketing communications specialist with a major educational institution when not wandering the world looking for trouble. He is a life-long martial artist, has published several articles in Kung Fu Magazine and he’s probably a little bit too fond of kung fu movies. He lives in Toronto, Canada with his wife who has happily laid out rules to prevent the sword-through-glass-lampshade incident from ever happening again. The Black Trillium is his first novel.